What is Minoxidil Hair Growth Treatment and what are the Risks? Home / Blog / What is Minoxidil Hair Growth Treatment and what are the Risks? If you’re struggling with hair loss, you might believe any solution is a good solution. Perhaps you’re self-conscious about the impact baldness has had on your appearance, and feel desperate to regrow your youthful hairline by any means necessary. In a situation like this, you are in a vulnerable position — and any product that claims to encourage hair growth will be worth trying regardless of its side effects. However, it’s vital that anyone considering any medicinal treatment be aware of how it works, what changes it triggers in the body and any potential risks it may pose to your health. One of the most well-known hair-loss treatments available on the market is Minoxidil. Yet while it has created some success stories, this doesn’t mean Minoxidil is a safe, long-lasting solution to your baldness. Minoxidil carries a multitude of side effects that may give you cause for concern before starting to use it. Join us as we take a closer look at this treatment and its effects below. Minoxidil was originally used only as a medication for ulcers towards the end of the 1950s. However, while it was soon revealed as an ineffective cure for ulcers it did demonstrate an ability to widen blood vessels. The FDA (Food and Drug Administration) approved Minoxidil to be sold as oral tablets for high blood pressure, due to its circulation-boosting qualities. Further studies on Minoxidil were conducted at the University of Colorado School of Medicine, which showed the drug’s ability to promote hair growth. By the 1980s, doctors were prescribing Minoxidil (known as ‘Loniten’) to patients looking for a hair-loss solution. It wasn’t until 1988, though, that the FDA actually approved Minoxidil to treat baldness, under the branding ‘Rogaine’. The FDA stated that this drug wouldn’t work for all customers (much less than 50%), but had been shown to generate some growth in the crown area of the scalp. Minoxidil cab stimulate hair growth and slow the rate of balding in men and women. People under the age of 40 tend to see the most effective results from Minoxidil, though obviously they aren’t guaranteed. This drug’s process will cause hairs undergoing the telogen phase (the follicles’ ‘resting’ stage) to fall out. Once the anagen phase (the growth stage) kicks in, thicker hairs grow in their place. 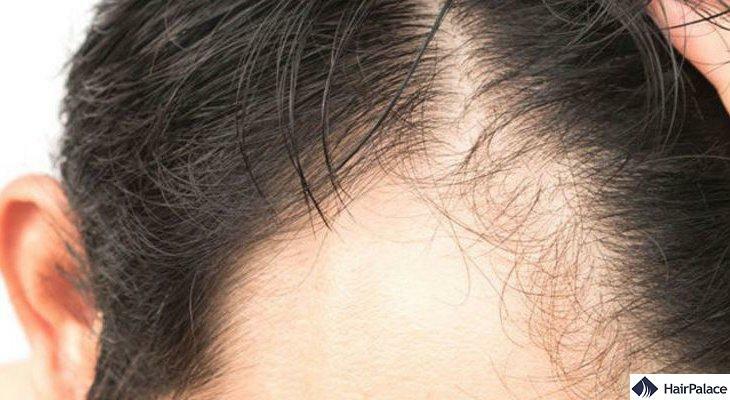 Minoxidil is available as a foam and a topical solution, but is not for use on the scalp’s front (meaning it’s not an effective treatment for receding hairlines, a common problem for males). The drug will be absorbed into the scalp before being transformed into its active form. It will then widen the blood vessels and supply blood, oxygen and nutrients to the hair follicles. 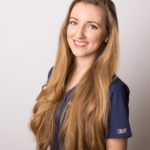 Generally, you must allow at least four months for Minoxidil to start generating hair growth, but many users may see no positive effects at all. One key factor to consider before you start applying Minoxidil is that you might have to do so continuously, depending on the condition causing hair loss. Simply applying it until you see new hair growth and stopping when you’re satisfied isn’t enough in some cases. For Male Pattern Baldness,the Minoxidil may have to be used regularly as DHT causes hair to shed on a long-term basis. If the hair loss is temporary, the treatment can stop once hair growth has returned to normal. Possible side effects range from mild irritants to more serious problems. Burning, redness and stinging sensations can all occur at the site of application. This can make you incredibly uncomfortable and should be a sign that Minoxidil may not be the best option for you. You should contact your local pharmacist or doctor if you find these side effects continuing. Acne can also break out in the area treated, though this is rare. Other rare risks include hair growth on the face, inflamed hair roots and even exacerbated hair loss. Pregnant women are advised to avoid Minoxidil, as are those currently breast-feeding. Another point to bear in mind is that Minoxidil can be toxic to cats if left out in the open, and should be kept in a safe place at all times. As you can see, there are numerous reasons to avoid using Minoxidil. While a minority of people may find their hair restored over time, this is hardly an ideal solution: you’re required to integrate it into your lifestyle for years, causing ongoing expense, and your health may be affected. Desperation can lead people struggling with hair loss of various types to try Minoxidil, but it’s not the best option available today. What is? Hair transplant surgery. If you are struggling with hair loss due to Male Pattern Baldness or any other permanent condition, this proven procedure can achieve lasting results. Hair transplant surgery, performed using the FUE (Follicular Unit Extraction) technique, involves removing healthy hair follicles from donor areas of the scalp unaffected by baldness (the sides and back). These units are then implanted into the sites of hair loss, before going on to grow into strong hairs over the following months. This is a permanent solution to hair loss, bringing lasting results that can restore a more youthful hairline. It’s vital to ensure all hair loss is complete before you undergo hair transplant surgery though, or else you may require further surgery in the future. HairPalace’s experienced, highly-trained surgeons perform FUE hair transplants using the FUE 2 Safe Scribe: this tool is the safest, most effective option available at affordable cost. Our team is committed to giving you all the expert information and advice you may need before, during, and after your hair transplant surgery. Want to learn more? Get in touch now for your free quote.